One year ago today, Angela & Guillaume got married. They didn't realize their first anniversary would be on Friday the 13th! But unlike the horror movie, their first year of marriage has been lovely. 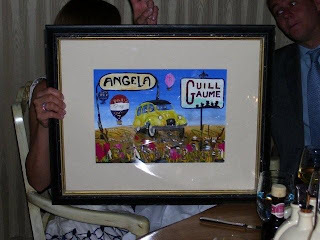 Andrew painted a little blue montgolfier in their wedding gift, just underneath the first A in Angela's name. 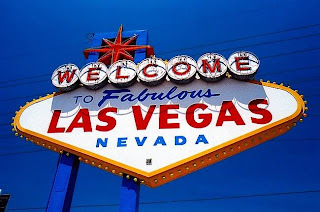 On Sunday morning, they fly to Fabulous Las Vegas! Happy anniversary and Happy birthday Angela !!! Cyrielle and Nicolas are back..
You come back to morrow..